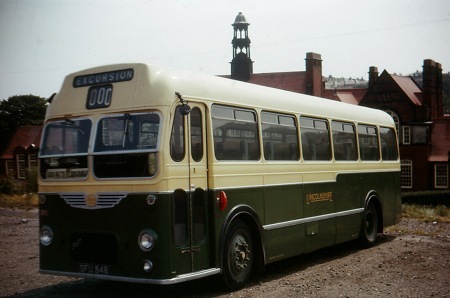 Another photo taken in Scarborough coach park of a Bristol ‘MW’ series single decker but this time in the fleet of the Lincolnshire Road Car Company Ltd. 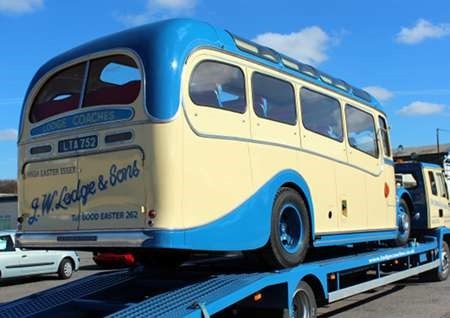 This vehicle was classed as ‘dual purpose’ meaning it was a bus with ‘nearly but not quite’ a coach standard of interior. I do like the paint work on this bus the step in the cream ¾s way down the side makes a big difference. The ‘5G’ after the ‘MW’ in the ‘MW’ series letters above means that this bus had a Gardner 5HLW engine which was a 5 cylinder 7.0 litre horizontal diesel engine. If the ‘MW’ had been followed by ‘6G’ it would of had a Gardner 6HLW engine which was a 6 cylinder 8.4 litre horizontal diesel engine. As far as I know only these two engines were available with the ‘MW’ series, meaning no Bristol engine, if you know different let me know. Although as you rightly state, the Bristol MW was only available with the Gardner 5HLW or 6HLW engine, one was fitted experimentally with a Bristol engine, but never operated in service as such. 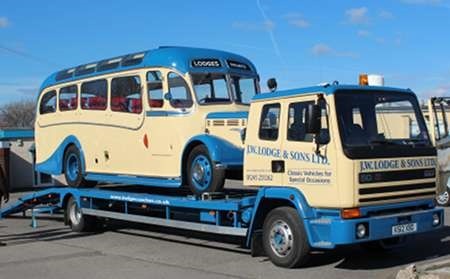 This was an early MW chassis bodied by ECW with a bus shell, and it was returned to Bristol Commercial Vehicles as a test-bed vehicle. The engine was in itself experimental – being a horizontal version of the BVW 8.9 litre unit and known as the BHW. 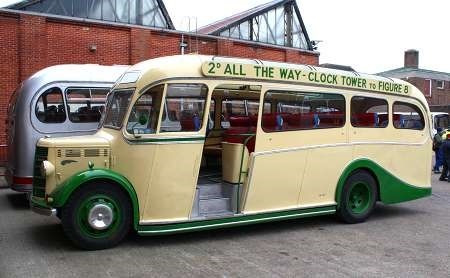 In 1963, the MW6B (as it would have been known) was re-engined with a Gardner 6HLW unit. Its body was then completed to 45-seat bus layout, and it entered service with Red &amp; White as their U1563 (228JAX). Another BHW-engined Bristol test-bed vehicle appeared in 1963 in the shape of a prototype RELH chassis fitted with an ECW coach shell. Whether this was fitted with the engine from the MW I do not know, as apparently Bristol had built several BHWs for experimental use. The engine in the RELH6B test vehicle also had a turbocharger fitted to increase power. 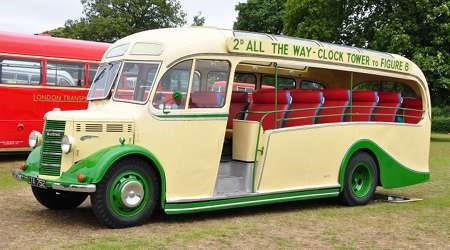 However, the BHW engine never entered production, and later the vehicle (chassis number REX003) was given a Gardner 6HLX engine and its body fitted out to full 47-seat coach specification. It then entered service with West Yorkshire as its CRG1 (OWT241E) in 1967.